Training is usually conducted on site, however we are able to find appropriate sites and hire of a stump grinder for training if required. Production of a site specific risk assessment for stump grinding operation. 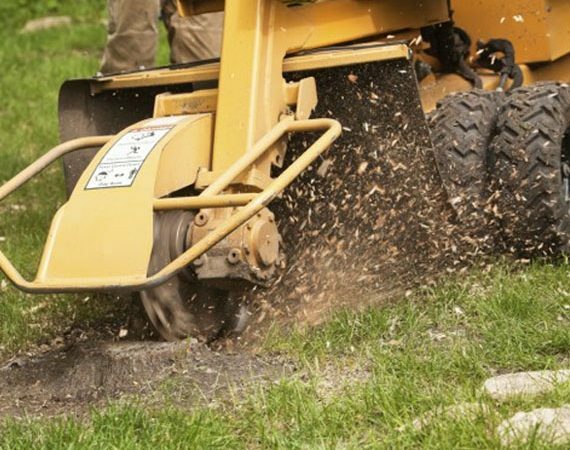 Understand HSE legislation and safety guidelines for stump grinders. Use of correct PPE and understand maintenance requirements. Operator checks and identification of safety features. Inspection and identification of defects on grinding mechanism. Preparation of machine prior to operation, start and stop the machine safely with safety checks. Preparation of work area and practice on a range of stumps for grinding. Identification of hazardous materials not to be ground. Use of approved techniques for safe and efficient grinding of a range of stump sizes. Understand and practice the procedure for removing blockages. Re-instate ground and deal with arising. Preparation of machine for transportation and storage. The certificate is then valid for 5 years. 1 day course including Lantra assessment.